Realtors in Hawaii use a standard 14 page Purchase Contract when preparing an offer, on behalf of a client, to purchase real estate in Hawaii. The Purchase Contract includes various contingencies which allow the Buyer to terminate the contract within certain timeframes with full refund of any deposits made towards the purchase. A contingency is a “condition that needs to be satisfied” (e.g. Buyer’s approval of the home inspection) or an “event that needs to take place” (e.g. Buyer receives a termite inspection report by a certain date) before a party is obligated to proceed with the contract. Often a contingency is deemed waived if the Buyer does not terminate the contract within the contingency time specified in the contract. The Purchase Contract has a number of blank spaces where the Buyer fills in the number of days for completion of each contingency. In other words, the contingency timeframes are negotiable – not a fixed number of days. The contingencies reviewed in this post include a suggested range of days. Buyer’s contingencies outlined in the Purchase Contract can be grouped as “Contingencies Within Buyer’s Control” or “Contingencies Not Within Buyer’s Control”. These contingencies are subject to Buyer’s review and approval within the specified contingency time period. 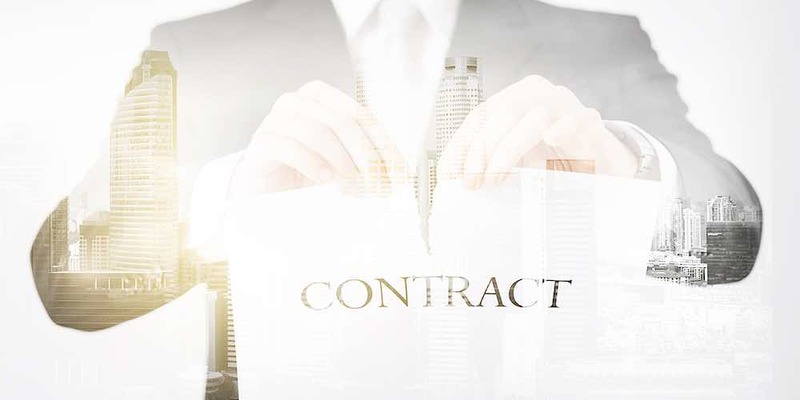 The Buyer may cancel the Purchase Contract based on these contingencies within agreed upon timeframes – as outlined in the Purchase Contract – without being subject to some other event occurring. Home Inspection (J-1): Applicable for condos and homes and the most commonly used contingency to cancel the Purchase Contract. Typically a 7 to 14 day contingency where the clock starts ticking from the moment Buyer and Seller have a fully executed Purchase Contract. The Buyer will usually hire a professional home inspector at Buyer’s expense early during the escrow period. Average charge for inspection of a 2 beds / 2 baths property is $400, although every inspector has their own cost structure. If the inspection reveals any issues, a Buyer may try to negotiate with Seller and request a credit, or ask the Seller to fix the issues. Seller is, however, not obligated to accept Buyer’s requests. Irrespective of the inspection outcome – even if the report does not show any issues – the Buyer has a right to cancel the Purchase Contract based on this contingency (J-1). The contract merely states “If Buyer disapproves of the inspection…..” – and a Buyer can certainly disapprove of an inspection, irrespective of what the inspector says or writes in his report. Seller’s Disclosure Statement (I-1) & Buyer’s Rights (I-4): Applicable for condos and homes. Typically a Seller will have 7 to 10 days to provide Buyer a copy of the 5 page Seller’s Real Property Disclosure Statement, which must be completed by the Seller. The Disclosure Statement is a list of about 100 questions the Seller answers by checking boxes “Yes”, “No”, “NTMK” (not to my knowledge) and “NA” (not applicable). When Seller answers “Yes” then Seller must provide a written explanation. Sample questions include: Any litigation affecting the property? Is short-term rentals allowed? Any special assessments in place? Any improvements done without building permits? List defects, repairs & replacements? Any signs of termite damage? Association Docs (M-1): Applicable for condos and sometimes homes (if part of an association). Association Documents are ordered and paid by Seller (typically about $400), ideally ordered as soon as the escrow period begins, and from the date the order is placed it normally takes 5 to 10 business days to receive the documents. With regard to condos, Association Documents normally include the declaration, bylaws, house rules, financial statements, insurance summary, board meeting minutes, project information form (form filled out by the managing agent, which may address if there are any special assessments in place, litigation, etc) and other documents. Upon receipt of the Association Docs, the Buyer typically has the right to cancel the Purchase Contract for 7 to 12 days. The last paragraph within Paragraph M-1 reads in part “If within the review period of X calendar days of Buyer’s receipt of the documents Buyer does not accept the Property based on information contained in the documents, Buyer may elect to terminate this Purchase Contract….”. Title Report (G-2): Applicable for condos and homes. The escrow company will order a Preliminary Title Report, which outlines possible outstanding mortgages and liens on the property. As an example, there could be a Mechanic’s Lien on the property, which may be a contractor claiming the owner of the property owes him money. Such liens could possibly derail a sale or, as in most cases, escrow will settle the amount owed at closing from Seller’s proceeds. Upon receipt of the Preliminary Title Report, a Buyer typically has the right to cancel the Purchase Contract for 5 to 7 days. Paragraph G-2(a) reads in part “If Buyer is not satisfied with the Preliminary Title Report, Buyer may elect, within X days of Buyer’s receipt of the Preliminary Title Report, terminate this Purchase Contract….”. It is uncommon for a Buyer to cancel the Purchase Contract based on the Title Report if the Preliminary Title Report does not indicate any issues. Inventory List (E-3): Only applicable for properties sold with furniture and/or additional inclusions. Typically a Seller will have 3 to 7 days to provide Buyer an Inventory List, outlining furniture & more included with the sale. Upon receipt of the Inventory List, a Buyer typically has the right to cancel the Purchase Contract for 1 to 5 days. The last sentence of Paragraph E-3 reads in part “If Buyer is not satisfied with the Inventory List, Buyer may elect, within X days of receipt of the inventory list, to terminate this Purchase Contract…..”. It is uncommon for a Buyer to cancel the Purchase Contract based on the Inventory List. Rental Documents (N-1): Only applicable for properties where Seller has a rental agreement with a property management firm and/or Seller currently has a tenant in the property or has tenants booked to use property at some future point. It is uncommon that Buyer cancels the Purchase Contract based on Rental Documents. However, on occasion, Seller may have a contract in place with a property management firm that has Seller locked in for a period of time and this may require Buyer to take over the property management contract, which Buyer may not always be willing to do. These contingencies are subject to some other event taking place or lack of an event taking place during the transaction. In other words, a Buyer may only obtain a right to cancel the Purchase Contract based on these contingencies if a certain event occurs or for the lack of a certain event occurring in other cases. Financing (H-3): Only applicable for Buyers who intend to use financing for a purchase. If Buyer is unable to obtain a Conditional Loan Commitment Letter by a certain date – outlined in Paragraph H-4(c) – then Buyer may cancel the Purchase Contract prior to the date outlined in H-4(c). If Buyer has met all conditions outlined in the loan commitment letter, but lender fails to fund prior to closing, then Buyer may elect to terminate the Purchase Contract pursuant to Paragraph O-3. O-3 is a contract clause that gives a party (in this case Buyer) the right to cancel the Purchase Contract after a deadline. O-3 typically gives a party 1 to 7 days to cancel the Purchase Contract beyond the deadline of the contingency. Termite Inspection (L-2 & L-3): Applicable for condos and homes. Buyer selects termite inspector and Seller pays. A professional termite inspector may charge about $350 for a 2 beds / 2 baths property, although every inspector has their own cost structure. If the termite inspection report indicates active / live termite infestation, then Seller shall order and pay for the recommended treatment and proof of completion shall be provided to Buyer no later than 5 days prior to the scheduled closing date. Failure to do so and Buyer may cancel contract based on Paragraph O-3. In the event the termite inspection report indicates there is visible damage to the property caused by the termite infestation and the damage directly, substantially or adversely affects the value of the property, then Seller shall make disclosure under Paragraph I-2, a clause related to “Later Discovered Information”. When does termite damage substantially affect the value of a property? That could be a point of dispute between Buyer and Seller. Survey (K-2): Only applicable for homes. Seller shall hire a Land Surveyor licensed in the State of Hawaii. A professional Land Surveyor may charge about $850 to do a survey, although every Land Surveyor has their own cost structure. The Land Surveyor shall survey and identify property boundary points and make a map that shows the perimeter of the property and any improvements near the perimeter. The purpose of the survey is to identify if there are any encroachments. In Hawaii, an encroachment is considered a property which intrudes on to a neighboring property by more than 6 inches (most commonly walls). If the intrusion is 6 inches or less it is considered “de minimis” – too small of an issue and nothing needs to be done. If there is an encroachment (could be Seller’s wall encroaching on neighbors lot or vice versa) then Buyer can accept it as is or Buyer can instruct Seller to either remove the encroachment (not always feasible with walls) or instruct Seller to get an encroachment agreement in place with the neighbor. If Seller doesn’t follow through and get Buyer’s request completed within “X” days prior to closing, Buyer may elect to terminate the Purchase Contract pursuant to Paragraph O-3. Later Discovered Information (I-2, I-4, I-5): Applicable for condos and homes. If Seller becomes aware of anything that “directly, substantially or adversely affects the value of the property”, which was not disclosed in the Disclosure Statement, Seller is required within X days of discovery to provide Buyer an Amended Disclosure Statement, although no later than 12pm noon on the last business day prior to recordation. If Buyer becomes aware of anything that “directly, substantially or adversely affects the value of the property” – that is considered later discovered information. Buyer has X days from date of receiving Seller’s Amended Disclosure Statement or from the date of later discovered information to cancel the contract. This contract contingency overview is meant to give you a sense of the provisions that protect you when under contract with a Seller in the State of Hawaii. Keep in mind, each transaction is unique and for many transactions there are nuances that need to be interpreted and considered beyond what is outlined in the above. Feel free to ask questions in the comments section below. Disclaimer: This information is for general information purposes only and should not be relied upon in making any decisions. Always consult with your attorney for advice.